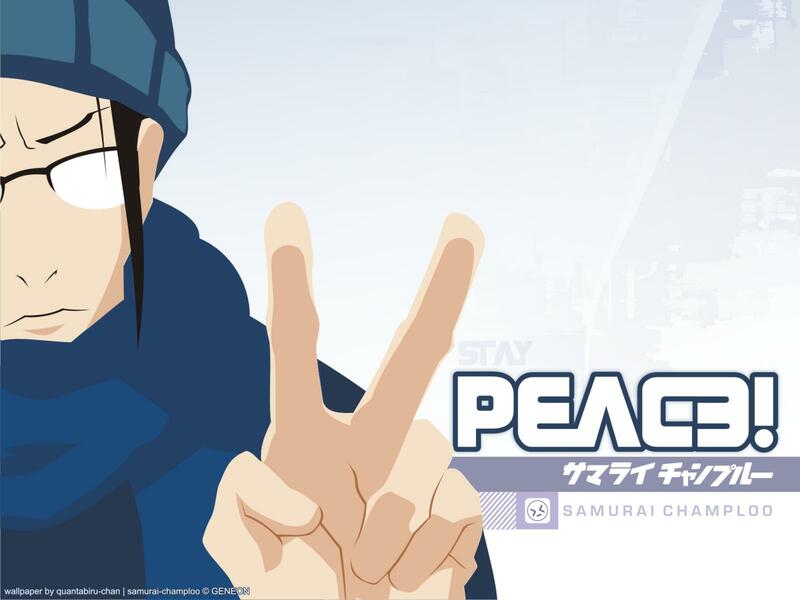 Samurai Champloo Wallpaper: stay peace!! Minitokyo »	Samurai Champloo Wallpapers » Samurai Champloo Wallpaper: stay peace!! just keep make our life PEACE! we [want it or not] must FIGHT it! to achieve it or to protect it! it's a simple wall/vector and is mostly clean but you let escaped some major details such as the uncropped left side of the wall where you can easily see a white line or maybe it was intentional doing a stroke which it's actually worst, in any case I suggest to remove it, other than that, is cool.